Java is an Object Oriented programming language designed by James Gosling and his team in the year 1991. Java’s primary goal was WORA(Write Once Run Anywhere). So we can run Java program in any of the platform (O S). Since Java Programs written as a classes and compiled to Byte Code(.class) and Byte code is Machine Independent and hence .class file can be copied to any platform and we can run it over there. So Java is called platform Independent. 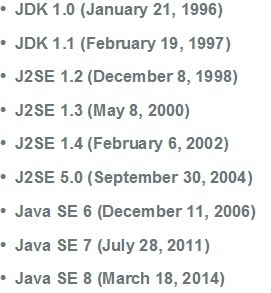 Because of this , Java has become more popular. First of all thanks for making this excellent platform with such easy explanation of each and every topic. Kindly expand this website with more content on various technology. I am a s/w Test enginner. Trying for Selenium automation and am the beginner of java. but i have done the course in Java and Selenium. Please guide me how to studty. What’s is the defaults recommended scope for build framework on hybris. Properties changes in HAC will be stored in memory. If you want to store them permanently , add it in .properties file. I am also looking for hybris technical training (developer).Please consider it and do let me know about it, once it starts. I am trying replicate the B2C customer from Hybris to ERP. In Datahub I Raw and Canonical went fine, but in publication there is no target system displaying to select in backoffice datahub. Can you please let me know how to add the target system? I have read your articles, its simple and easy to understand , but some topics i couldn’t able to understand. so I am looking for hybris technical training .Please consider my request. I am happy to consider it,I am just thinking about the timings to manage it. 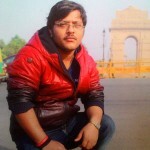 I am looking for Hybris training. I am having 3 years experience in java, spring, hibernate. I am planning for it, will let you know ! !